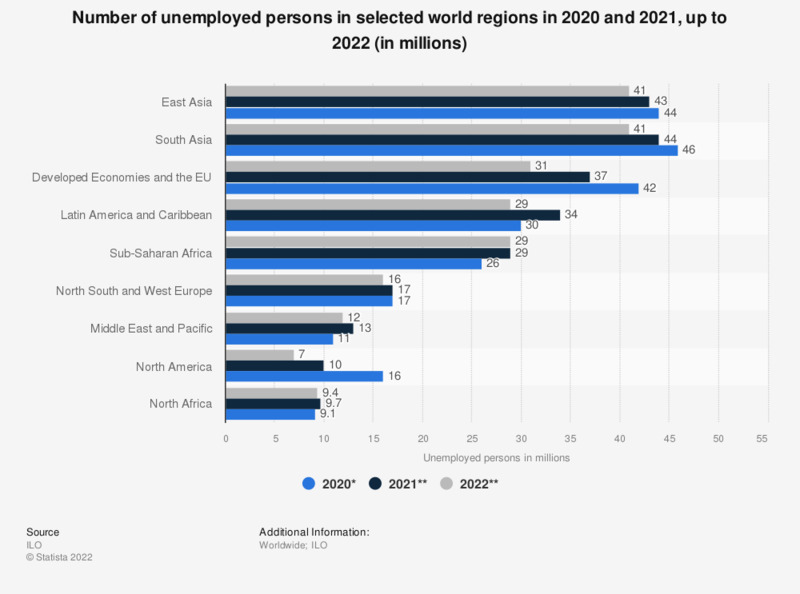 The statistic reflects the number of unemployed persons in selected world regions in 2018, 2019 and 2020. In the Middle East and Pacific, there will probably be about 10.7 million unemployed persons in 2020. The acronym CIS stands for Commonwealth of Independent States.